One shop that immediately came to mind once we were pregnant was Pink Blush. I had previously seen adorable ladies in Pink Blush items and I knew they had some of the most adorable maternity (and non maternity!) items on the market. 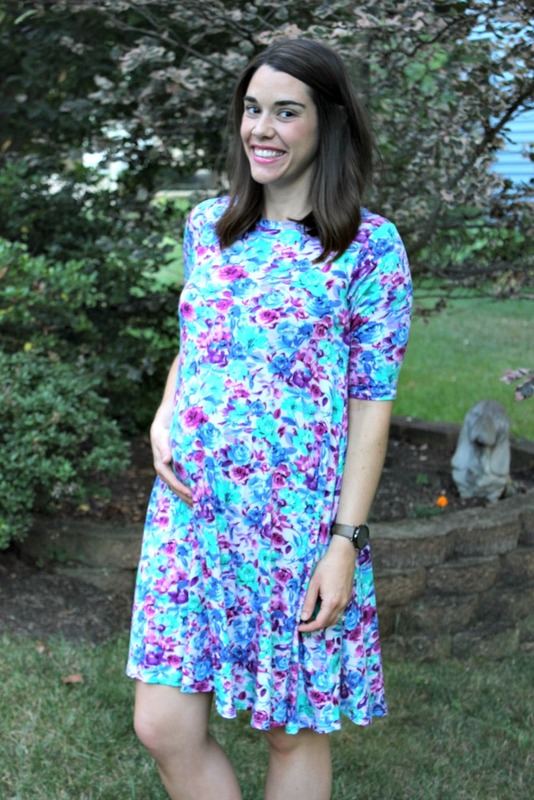 With the heat and humidity lately, I am constantly drawn to maternity dresses in all shapes and forms. This dress is incredibly comfy, cozy and perfect for my growing belly. 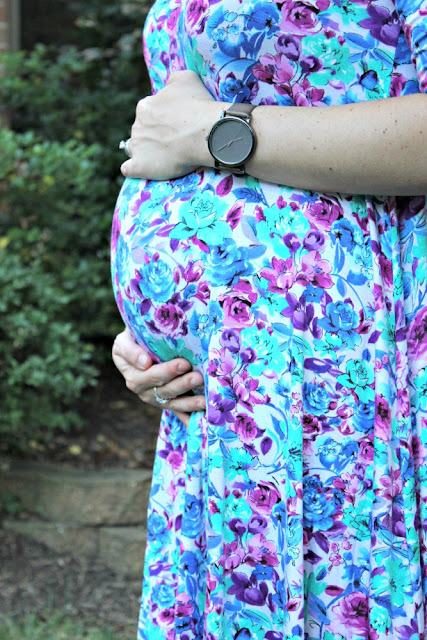 I know this beautiful floral dress will be a staple throughout the rest of our pregnancy journey. No photo shoot is complete with a little Floyd for you! There is NO shortage of cute items on the Pink Blush site and I have quite the wish list going. This off the shoulder top is too adorable for words, this kimono is perfect for our chilly office but cool enough for hot days and I have been dreaming about the perfect hospital robe and this one fits the bill. And lucky for you non pregnant ladies, Pink Blush offers the most adorable clothes in their regular store as well! The wonderful people at Pink Blush are offering Total Basset Case readers a $75 (!!) credit to their store! How awesome is that? Sounds like a great way to work on your fall wardrobe if you ask me! You are adorable and because I love florals I might have to pick this same dress!!!! So cute! What a cute dress! :) I love their lace neckline top! I definitely need an off the shoulder - immediately! Look at that bump!!!!!!! That dress is so cute on you. I've been looking at that dress on their site! So cute!!! I am excited to order a cute robe for the hospital from them!! So, not pregnant yet but hoping to be soonish! 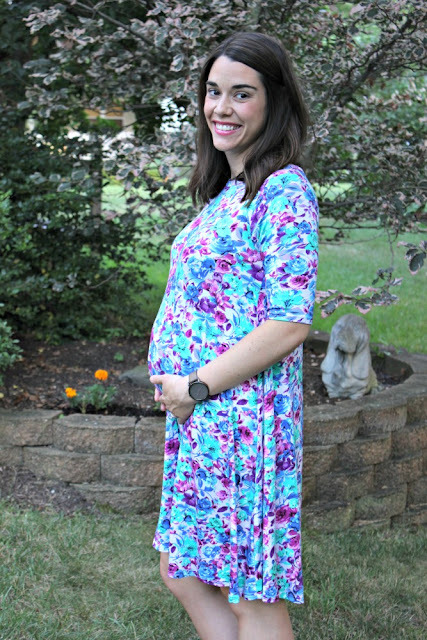 So I've been checking out the maxi wrap floral dresses on pink blush maternity for the many weddings we have coming up this year. You look lovely! I've had my eye on the Navy Pink Draped Maxi Dress! Ivory Tropical Maxi! It'll go perfect with my Golden Girls Themed Shower! so many cute clothes on this site! Love that their stuff doesn't look super "maternity" so you can get more life out of an item after baby comes! I really like the White Garden 3/4 Sleeve Wrap Maternity/Nursing Maxi Dress. I love that dress as well. Definitely one of the cutest items! I love the Aqua Purple Floral Robe! 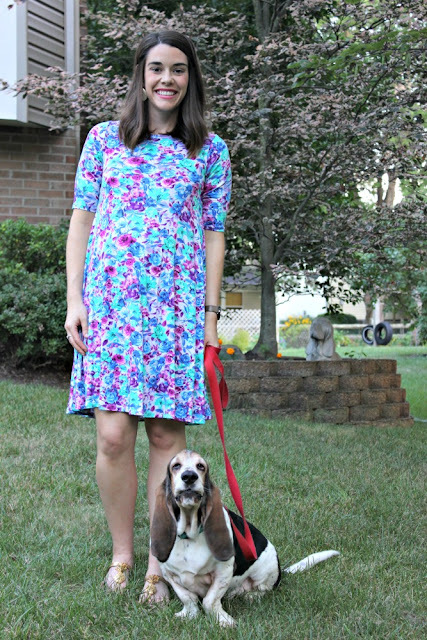 The Navy Blue Floral Short Sleeve Dress is my favorite! I love the black floral cold shoulder top!